15-year-old Maarib Al Hishmawi (left) courageously refused to marry an older man who planned to pay her parents $20,000. Forced marriage is an antiquated and cruel tradition, but contrary to popular belief, its horrors are not restricted to backwards places on the other side of the world. Just ask Texas resident Maarib Al Hishmawi. At the age of 15, Maarib was told she would soon marry an older man of her parents choosing. She would then be forced to leave her childhood behind, move to another city, and live out her days as his dutiful wife. In return, her parents would receive a $20,000 from the husband. Surely this didn’t happy recently, right? Wrong – this was the summer of 2017. When Maarib protested the unwanted marriage arrangement, her parents were furious. How dare their daughter defy their wishes? At some point, things turned violent. First, Maarib’s parents beat her with broomsticks. She stood by her refusal to marry the man. Then they nearly choked her unconscious. When this too failed, they threw hot oil on her. On their own daughter. Scared for her life, Maarib relented and agreed to go through with the wedding. At least that’s what she assured her parents. In reality, she was just stalling for time. 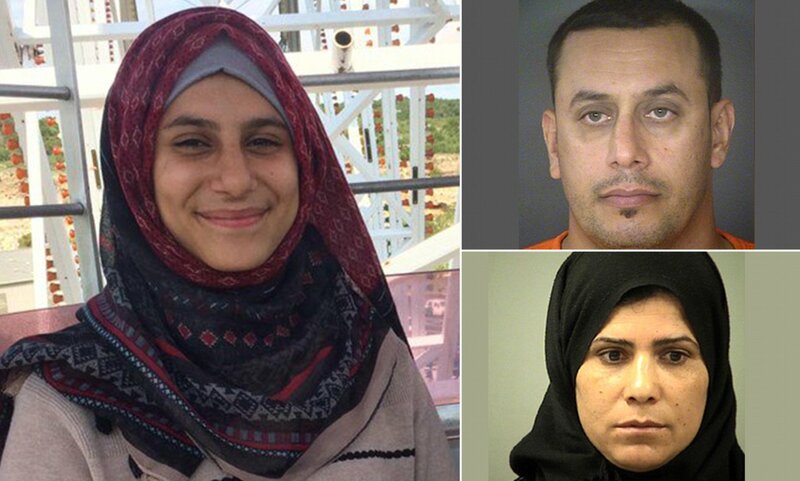 On Tuesday, January 30 of this year, with her wedding fast approaching, the young Muslim teenager slipped out the door of her San Antonio high school and vanished. Her disappearance sparked a frantic search, and the FBI even issued a nationwide missing person alert. It wasn’t long before authorities discovered Maarib – and the reason behind her desperate escape. “This young lady…was subjected to some pretty bad abuse because she didn’t want to be married to this person,” explained Sheriff Javier Salazar in a statement. 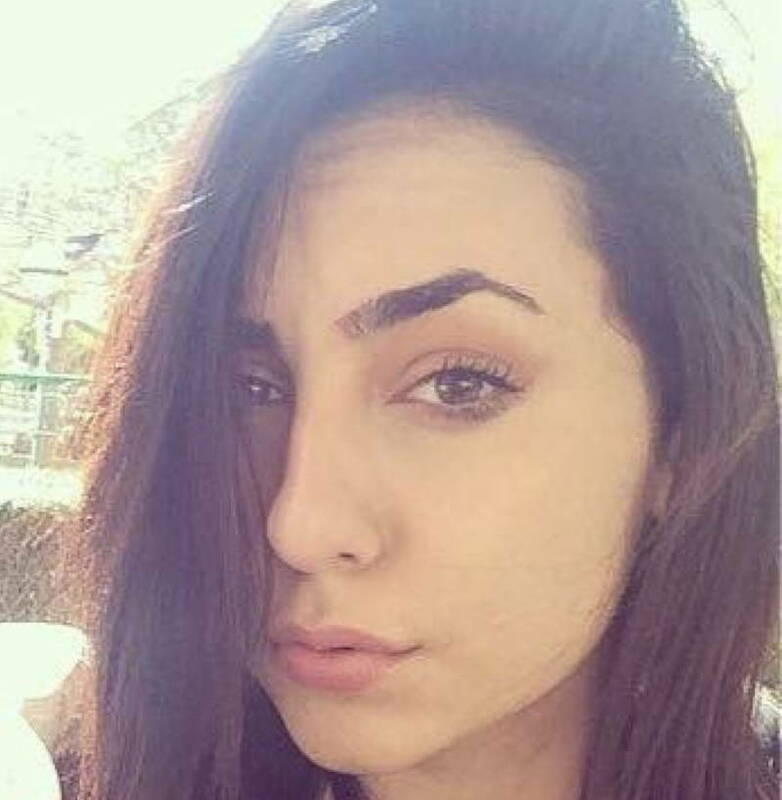 Authorities soon announced Maarib’s parents had been arrested and charged with continuous abuse of a family member. 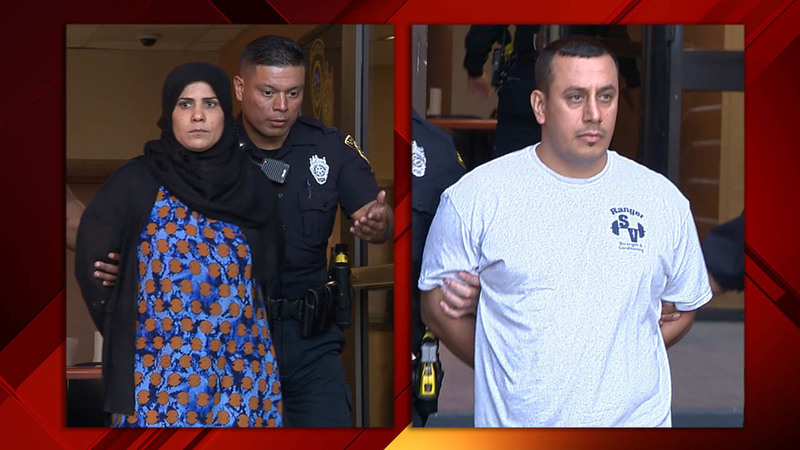 According to eyewitness reports, Maarib’s father angrily yelled at media members, blaming his daughter for their arrest as he was led away in handcuffs. 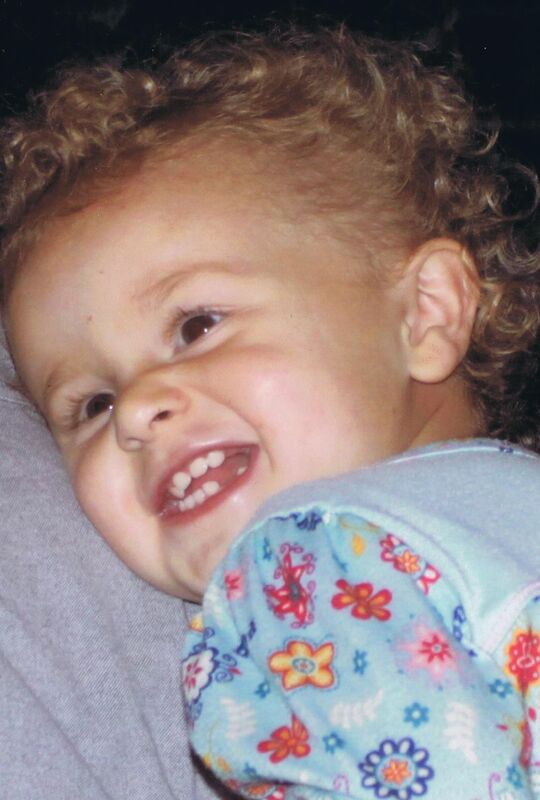 The 16-year-old and her five siblings are now safely in the custody of child protective services. The family had been in the country for less than two years. Maarib’s mother, Hamdiyah Al Hishmawi, and father, Abdullah Al Hishmawi, were taken into custody after the horrific abuse was discovered by Texas authorities. As they were being led away in handcuffs, Abdullah lashed out at the media, blaming Maarib for their arrest. Forced marriage, while taboo in much of the West, remains all too common in places such as South Asian, the Middle-East, and sub-Saharan Africa. In fact, it’s estimated that one in five girls worldwide will be married before the age of 18. Some experts insist it’s important to distinguish between forced marriage and arranged marriage – a practice common in many Muslim and Hindu societies where family members exert significant influence in deciding who their children marry. But when it comes to children, is there really a difference between the two? Can a child really give proper consent to a contract as serious and life-altering as marriage? Just because they’re not explicitly forced to marry someone, that doesn’t mean coercion wasn’t a factor. Children are inherently vulnerable and will often do the bidding of a trusted parental figure. We’ve covered the issue of child marriage extensively in the past – including the concerning proclivity of religious groups to defend it on the grounds of tradition. Cases like Maarib’s are proof that as much as we’d like to pretend forced marriage is no big deal, that strategy won’t get us very far. Sure, it may be more common on the other side of the world, but that doesn’t mean it can’t happen next door. Maarib was brave enough to resist, and ultimately to run away. But how many other girls couldn’t do so? How many have been subjected to lives of hardship and exploitation because of this cruel practice? Unfortunately this and worse is common place in countries like Pakistan and India. The most important component to the lives in this culture is honor. The honor of the Father and his extended family is of paramount. Anything that subverts that perceived him as weak and subsequently affects his status in society. It has been handed down from generation to generation for hundreds of years. What is bizarre to me is that this mindset could be expected to survive in a country like ours. I mean if your going to continue to live in the middle ages why would you come to a progressive nation like America? In any event whether it’s physical abuse, mental abuse, genital mutilation, we have a right to protect those who are unable. John…….your last question makes me wonder if they came to America because when Trump was elected president they assumed the country has become more like their homeland. The thought also gives me pause to wonder. I know I am exaggerating but still I believe his election has brought out the worst of us. Certainly we need to be in prayer for ourselves. I did not know our country was progressive. Screw religion & tradition. They beat the $#@# out of her for putting the $20k at risk. Why beat & burn their kid? Where does it state (related spin) that in the Koran? Attempted murder & physical deformation is punishment for not being sold for for a few bucks. What happened to the “thru love” citations, Most religions are in ppls heads so Phaneron is their god that dictates interpretation to justify ego. The wrong doing of 100k years ago not make it right today. The wrong doings of today will not make it right in the coming 100k years. EVER BEEN to ALABAMA, KENTUCKY, MISSISSIPPI, GEORGIA, they MARRY OFF their DAUGHTERS for FOOD STAMPs and DADDY ALREADY DEFLOWERED SAME…..
Leftist assumption. Also using a defensive argument by trying to divert attention from a serious issue that is deep rooted in the Islamic faith. I’m sure you would know. Most people who talk like this have first hand knowledge John I think I’m starting to understand your problems. John……..I’m certainly no fan of Dixieland, but you are over stating the situation. What you have described is true in a few cases (one is too many) but not true of the general population. Arranged marriages are very different from forced marriages; to equate the two is wrong. I have known Orthodox Jews (e.g. the Haredim) and Hindus who have had arranged marriages. This is common in their cultures. They do not all marry as children in most cases, even though a spouse may have been selected for them during their childhood. The brides and grooms have a choice. In some cases, they meet the proposed spouse and talk to them to get to know them. This also can happen in Muslim societies where the parents are more enlightened. If the prospective bride or groom does not want to marry that person another is selected. In the case of Hindus, the women review information about several alternatives, including their profession. They see pictures prospective husbands. Then the women chooses whom they would like to meet. If this does not work out, she selects another. The women I know in arranged marriages are very happy and in love with their husbands. Their parents and the community helped in the selection. Not all arranged marriages are successful, but in western society, when we select spouses without help from the community, these marriages frequently end in divorce, unfortunately. In contrast, a forced marriage often resembles a business transaction, such as the one described in the story where the prospective bride is under the legal age of consent. The money from the groom is a key part of the transaction in contrast to a dowry which is paid by the parents of the bride. Age differences are not important to the parents; older men can pay more. The bride is not supposed to have any say in the matter and is treated like a piece of property for sale. Not all cultures approach marriage the same way as we do in western culture, but this does not necessarily mean that the other approaches are bad or wrong – only when they involve coercion of a minor to the point of abuse. We have laws designed to protect children and women from abuse, but they work only to the extent where they are enforced. I would not hesitate to perform an arranged marriage among consenting adults. If they want to marry, it does not matter to me how they met. However, I would never perform a forced marriage or a marriage involving a minor below the age of consent. You can tell by interviewing the couple. As ministers, we should all strive to ensure that our actions are both legal and ethical. Thank you for clarifying the difference between arraigned and forced marriages. As a Hindu, I am amazed at the ignorance many westerners have between the two. I always had a choice. My parents just hoped I would make the right choice for my own happiness- not theirs. The problem with even the arranged marriage is that there are cases where the child is raised in such a way as they feel they have no choice as this is what the parents wish. I know it sounds hard to believe but it is true. My real concern would be how many times have they met and for how long. Meeting someone two or three times and then being married is to me a forced marriage even if they can back out a lot will not just out of respect for the family and the father. John, so Fox News is fake.. but you don’t watch it. Seems like a typical leftist assumption. I await your supporting evidence. Gilbert I would not waste my breath on John Maher you cant have a battle of wits with an unarmed man. His mental capacity is that of a 2 year old. I think that’s why he pretty much uses all caps. JIMBO the BIMBO YOU FOUND a FRIEND in GILBERT grape MASON, TRY and FORGIVE HIM and MAYBE HE CAN FORGIVE YOU and then YOU BOTH can PRAY for FORGIVENESS while you BOTH WATCH FOX NEWs TOGETHER HOLDING HANDs LIKE GOOD BRETHREN DO, DROP DEAD !!! Is he even a minister?? Greetings all! Well, this just goes to show the stupidity of people and religious beliefs. The muslim religion should be wiped out, for sure. But, how often do these same cruel incidents happen in other faiths that we don’t hear about. People will do anything these days for money in the name of religion. Sad. No religion is cruel-proof. Build a faith of your own based on TRUE love and goodness and make the world a better place in which to live. Shalom, and have a wonderful day! All religion should be wiped out! John Lennon said it best, Imagine there’s no heaven, it’s easy if you try…..
Ahh John whats a matter. I hurt your feelings. Hey let me ask you a question. Did your parents have any children that lived. I think your for sure brain dead. I hope that the parents are deported but delayed long enough in prison that the children are old enough to choose whether to go or stay. I am a Muslim and proud to be one , the true teaching of Islam , doesn’t allow women or children into marriage . In the traditions of Prophet Muhammed pbuh , annulled all arranged marriages, and a degree was passed that a women must choose her own partner if the parents don’t have the right to choose a partner for their daughter or sons. These people should feel the full wroth of the law , And should be sentence with the harshest sentence possible. Thanks for speaking on this. Too many times people make judgments based on stereotypes, heresay and what someone has heard from tabloids or people who don’t know the facts. I, for one, being from the West, appreciate the education. Right now in the USA we are too stigmatized by what we “think we know” about Muslim traditions which often happens when a culture encounters another and relies on others’ and half truths to make judgments. Please keep weighing in on these discussions! These customs are thousands of years old.